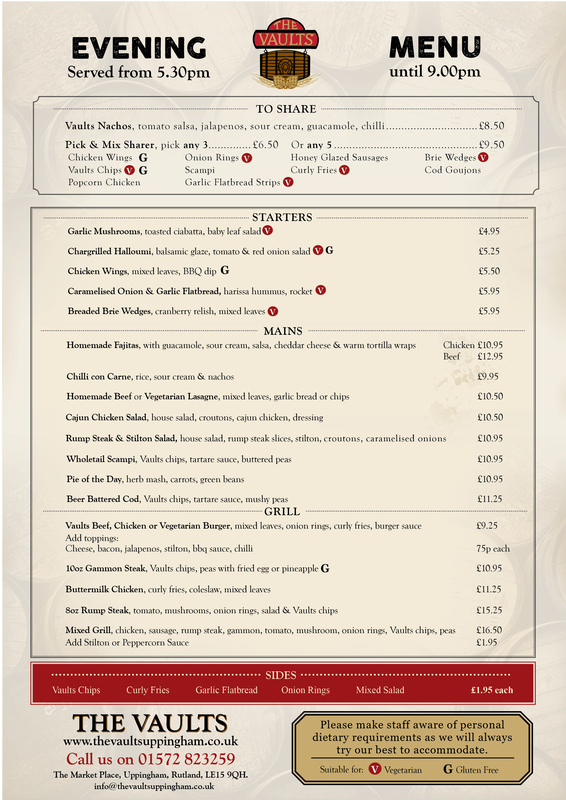 For honest, traditional and outstandingly delicious food, enjoy a meal at The Vaults. 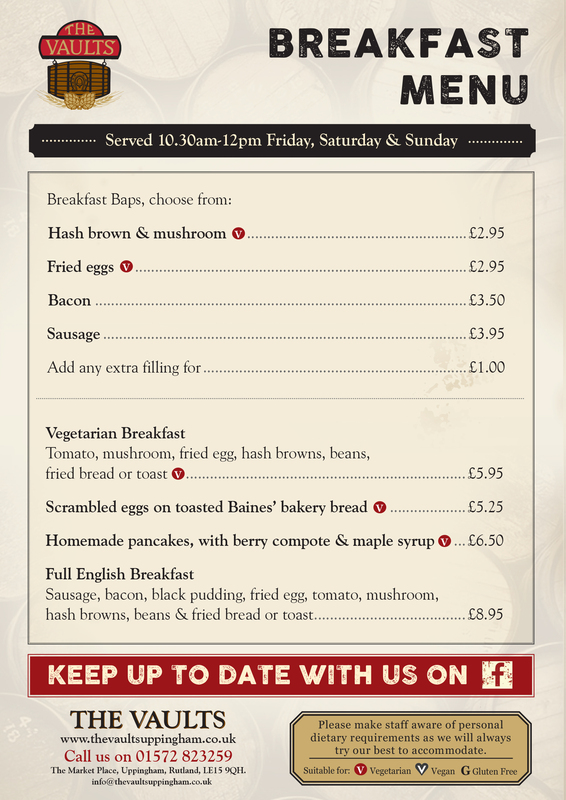 Have a look at our menus below or click to print out the Breakfast, Pizza, Lunch and Dinner menus. Make sure you keep up to date with our social media sites which share our weekly and daily specials. We look forward to welcoming you to The Vaults to show you what we have on offer. Please make staff aware of any dietary requirements or allergies and we will always try our best to accommodate. Check out our special Risotto of the week on our specials board. 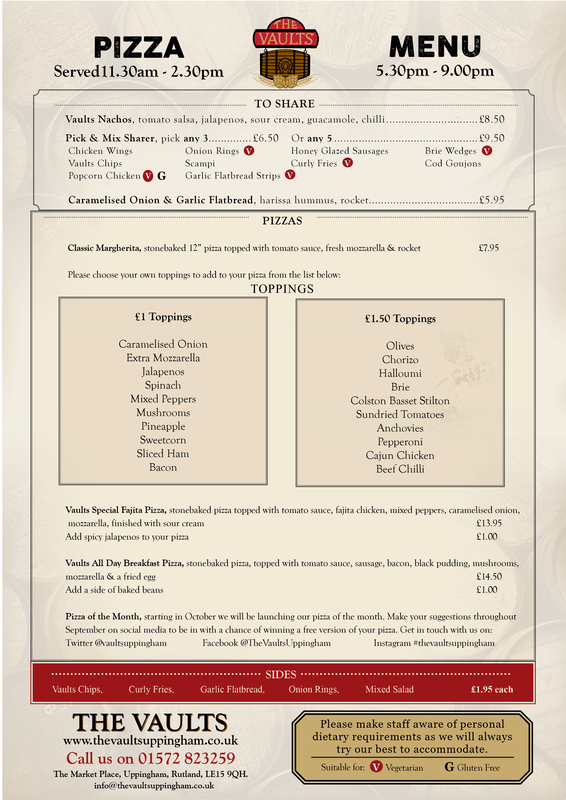 Fabulous pasta dishes every week – have a look at our specials board! 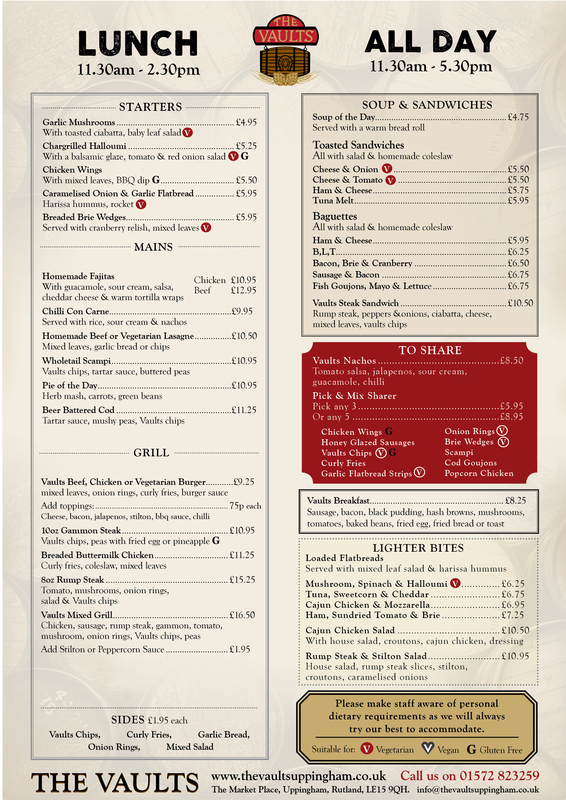 5oz rump steak, chicken breast grilled ham, sausage, chips, grilled tomato, mushroom, peas and onion rings. Take a look at our special board to find out more!